You can now send PDF documents via the Front Desk Agent Portal. 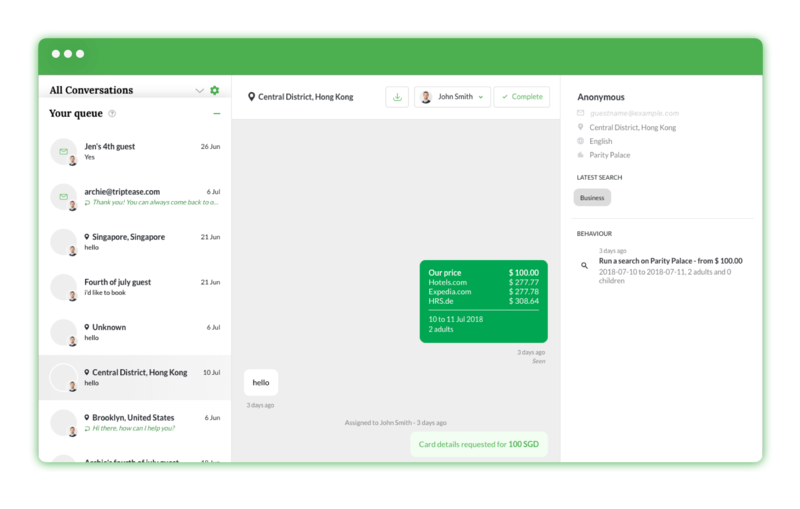 This is great news if you need to send things like invoices and bills to guests as you can share them instantly by dragging and dropping into the Agent Portal, just like you can currently do with images. Are there other features you’d like to see in Front Desk that would make your life easier? Drop us a line and let us know! We’ve had lots of requests for this update so we’ll really pleased to say we’ve just added the ability to duplicate existing messages in the Message Manager. This means you can easily create multiple versions of the same message in order to experiment with different text, images, button text, behaviour or targeting specifications. Want to chat about ideas for messages that might work well for your business? Get in touch! You can now display Message Porter campaigns to potential guests even if they’re not showing signs of leaving your website. Nudge Messages appear on page load or on a timed delay - not just on exit - and they’re much more subtle than a full screen message. That means you can serve relevant information and offers to your customers at the right time and in the right way. Creating a Nudge Message is simple. Just click the Nudge option in the Campaign Builder and use the same range of design tools and targeting options you already know. 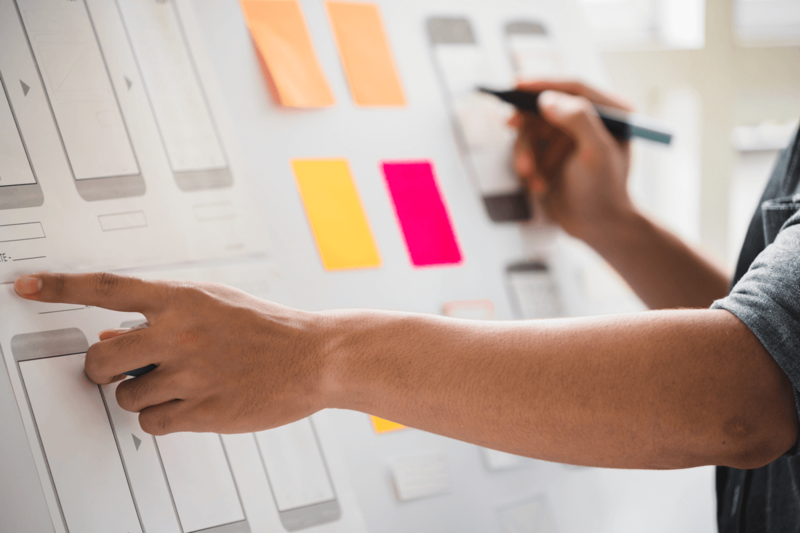 The only additional setup required is choosing the Behaviour of your campaign - where and how it will appear. We’re so excited to see how you’ll use this new feature to improve the online experience for your guests. Any questions? Let us know! Our partners in the APAC region have been able to see screenshots of their Agoda disparities in the Disparity Dungeon for some time (and we’ve just added Indonesian OTA Traveloka too!) 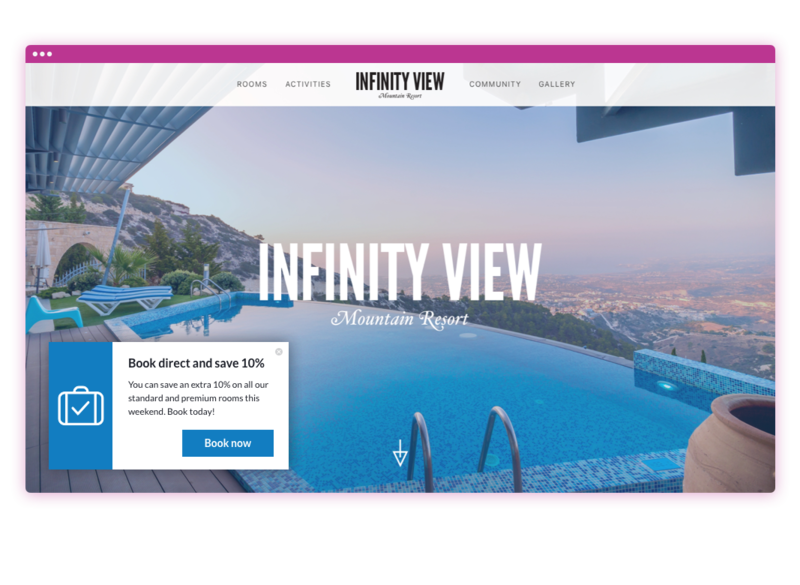 but we wanted even more of our partner hotels around the world to be able to benefit from the screenshotting feature. This should make resolving disparities much easier in terms of being able to hold OTAs accountable with real evidence. It also means you no longer have to spend quite so much time manually replicating disparities - particularly when they are prone to changing very quickly. When there is a screenshot available, it will appear in the Dungeon side panel. When clicked, a full page screenshot will appear, which you can zoom in and out of, and easily download. We’d love to hear how this new feature is working for you or if there’s anything else we could be doing to make the Dungeon even more useful. Get in touch and let us know your thoughts! Many of our partner hotels in the APAC region have let us know that they would like to see data for Traveloka - a prominent OTA in Indonesia. 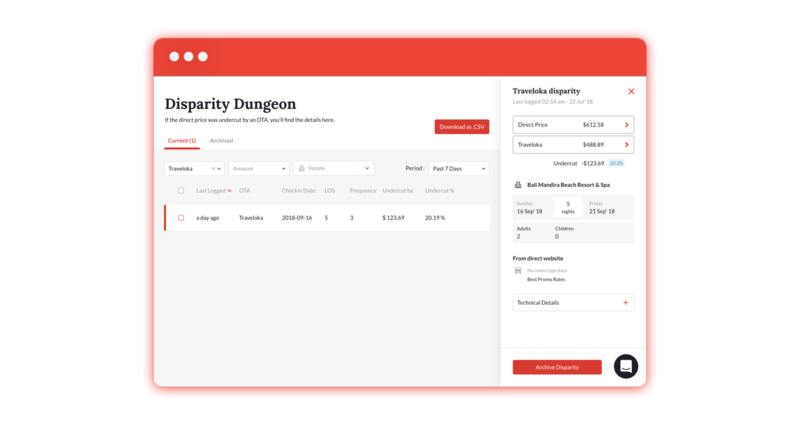 Today we’re pleased to announce that Traveloka data can now be added to the Disparity Dungeon and Price Check! Please get in touch with your Customer Success Manager if you’d like to add Traveloka to the Price Check widget, and see any disparities in the Disparity Dungeon. Additionally, we’ve applied the screenshot feature that we released for Agoda disparities to Traveloka too. That means any disparities we find will come with a full page screenshot so that you have proof the disparity happened. For these screenshots, we re-use the same session as the initial scrape with the original disparity, to try and ensure the screenshot price will be the same as the disparity price. If a customer is searching on your website in a currency not included above (in Euros, for example), we will get the Traveloka price in Indonesian Rupiah as a default and then perform a currency exchange to Euros. We’d love to hear what you think of this latest update, or if there’s anything else we can be doing to make Price Check and the Disparity Dungeon work harder for you. Get in touch and let us know! We’ve added another new data point to the Insights Dashboard this week - the revenue value of your direct bookings. This should make it really easy to investigate anomalies and understand how your actions within the Triptease Platform have lead to an increase in revenue. You can see your Total Revenue information next to the Conversion Rate data in the Direct Bookers funnel. Clicking on the Total Revenue metric will bring up a line graph showing revenue over time. Hover over specific days on the graph to highlight the revenue totals for that day. We’ve just rolled out a few more updates to the Disparity Dungeon that we hope will make it even more effective and simple to use. New data that you’ll now see included is the Room Type and Room Rate (both of these are taken from your direct website) and, under Technical details, you’ll find a Disparity ID. 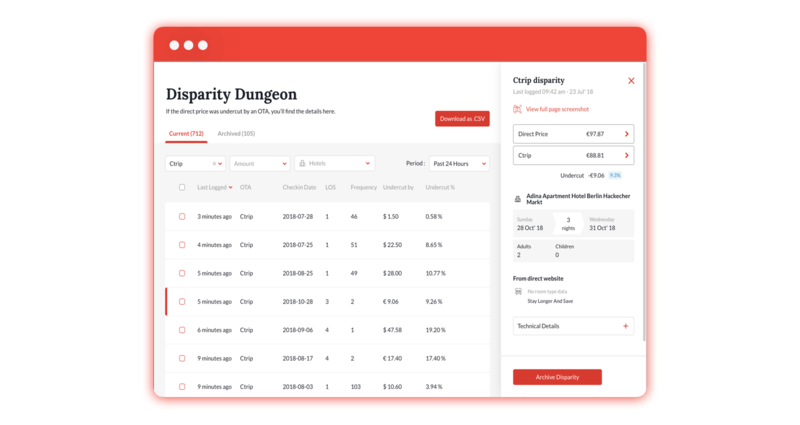 Every disparity in the Dungeon has a unique ID, and now you’ll be able to share that with your Customer Success Manager if there’s a problem you can’t resolve. You can also share the URL for the Disparity ID if you want to send a disparity to someone else. 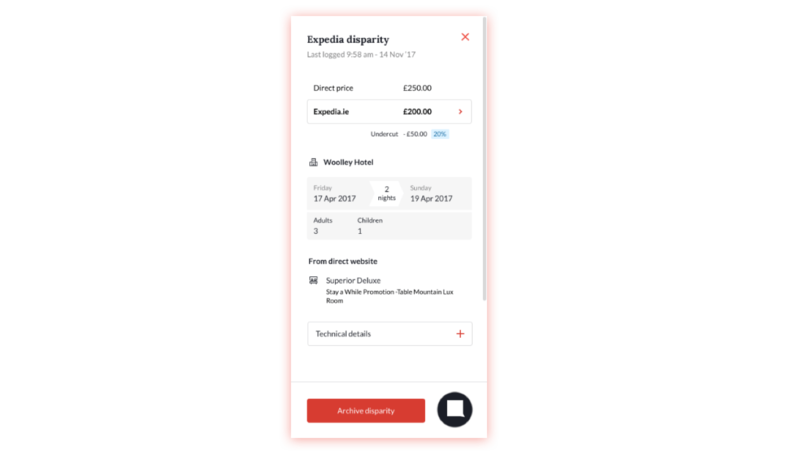 Some other little updates to make your life easier include UX improvements to the side panel, a direct link to the hotel website (the same as we currently have for the OTA) and a speedier loading time when filtering on different OTAs or time periods. We hope this makes finding and resolving disparities even quicker and simpler. If you have any questions or suggestions of future improvements you’d like to see in the Disparity Dungeon then please let us know! One of the principal aims of Front Desk is to help get the right answer to your guests quickly. That’s why we’ve redesigned the message inbox and launched a new feature in the Agent Portal called Your Queue. It’s a pop-up panel that displays all the conversations that have been assigned to a particular Agent. These are sorted in priority order based on the likelihood of the reply reaching the guest. This will help Agents to prioritise and understand which customers they should answer immediately, and which can be dealt with later on. Agents frequently answer the customers who have been ‘waiting longest’ first. This is the wrong way around. What they should do is answer any guest that is currently online first - it’s unlikely that those who have been waiting longest are still on your website to receive the response. To help them do this we now display Online visitors at the very top of the conversation queue. If they have clicked to view All conversations they will still see a notification that lets them know visitors are online and waiting for a response. Agents will now be able to start at the top of the queue and work their way down, knowing that they are dealing with the customer who needs their attention most urgently first. This should mean more messages being answered while the customer is still online, more conversations being completed, and more guests booking on your website.